*When this video originally posted we were in the works for a future episode featuring Kat East, Founder of the Blooming Rose Foundation and her family, but we've had to put that episode on hold temporarily. Things are in the works though, so stay tuned. "The Orange Juice Shake Up"
This episode puts a silly spin on one type airway clearance therapy (AKA - ACT) - a form of treatment that helps people with cystic fibrosis cough up the excess of mucus in our lungs. "The Great CF Check UP Happy Dance"
A great check up at your CF clinic is always a reason to celebrate and be silly. Join us! Over the summer of 2010 I got really sick and needed to go into the hospital. This was my way of passing the time and being productive while I was recovering. I shot this entire episode with the built in camera on my computer. People with CF need to monitor their lung functions at least every 3 months to stay on top of any possible pulmonary complications. These are called Pulmonary Function Tests or PFT's. 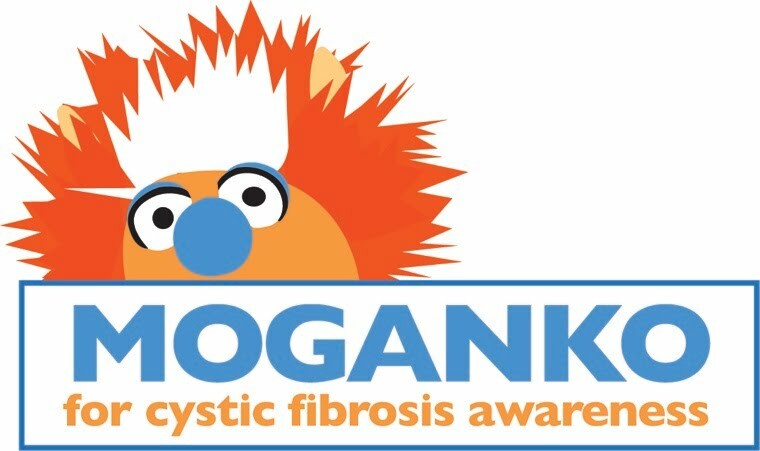 I wanted to show CF kids that they aren't all that scary and what better way than to have Moganko try one? Stuck in the hospital again, I filled my time by showing kids how important it is to move around while you're in the hospital because it helps keep the mucus moving so we can cough it up! Manual Chest Physiotherapy or CPT, is one of the ways we clear the mucus from our lungs that would otherwise cause infections and possible hospitalizations. In this episode, Moganko and I challenge our CF buddy and drummer Emily Schaller to a Drum Duel: CPT vs Drums! Check it out to see who wins! Starting 2014, there is a new protocol that requires cystic fibrosis patients to wear face masks to prevent cross infection of CF bacteria between patients. The transition has been challenging to understand for people of all ages, but especially kids. Moganko and I decided to take a turn at explaining why we wear masks. We hope it helps!